How to increase your customer base with customized products - CTS Wholesale LLC. If you are the owner of an accessories store, you know how important it is to keep a steady flow of sales going. The amount of sales that happens is directly proportional to the number of potential customers who walk into your shop. The trick is to make sure that the customer who buys a product from you comes back to you for his future purchases as well. One way to do that is to give your clients wholesale sunglasses cases. When he buys a pair of spectacles or lenses, he will obviously need a protective cover to keep them in, when he isn't using them. If you give him one for free, he will be thrilled because he will not have to spend time and money searching for one. Another aspect is that you can get this cover customized too. You can have it branded with your name and company embossed or printed on it. This way the customer will be able to remember you for as long as he is using the shades. 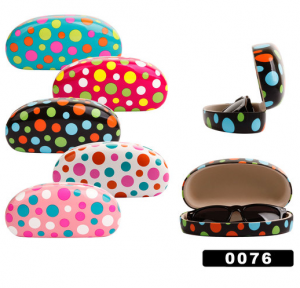 You can get wholesale sunglasses cases at very attractive rates from any of the leading suppliers in the country. They offer massive discounts on products that are bought above a certain value or number. So instead of buying a single piece or two, you should think of getting a few dozen boxes. This way it will bring your overall cost down. The same goes for spectacles as well. This is a great option if you want to boost your profits.